Bottlestore.com is a O.Berk company. 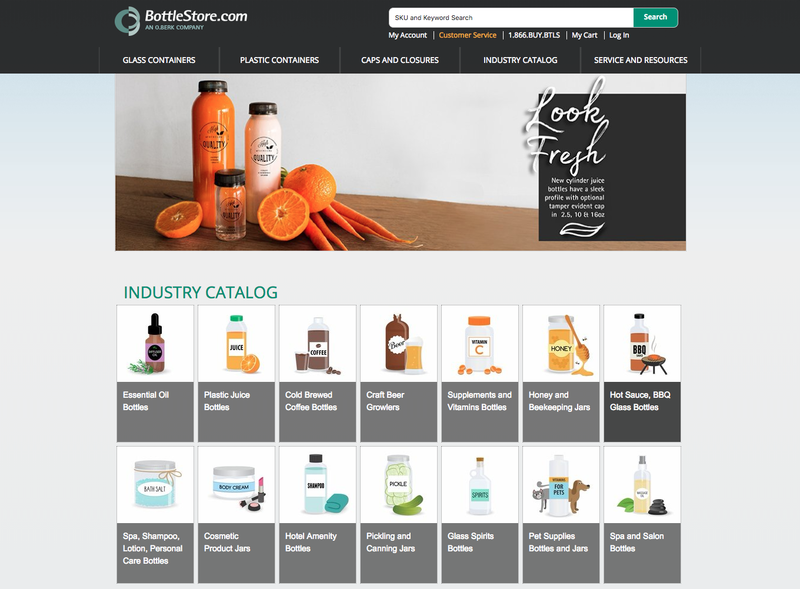 Bottlestore.com provides packaging solutions for sale online as a division of O.Berk – a company founded in 1910 to distribute glass bottles and jars. 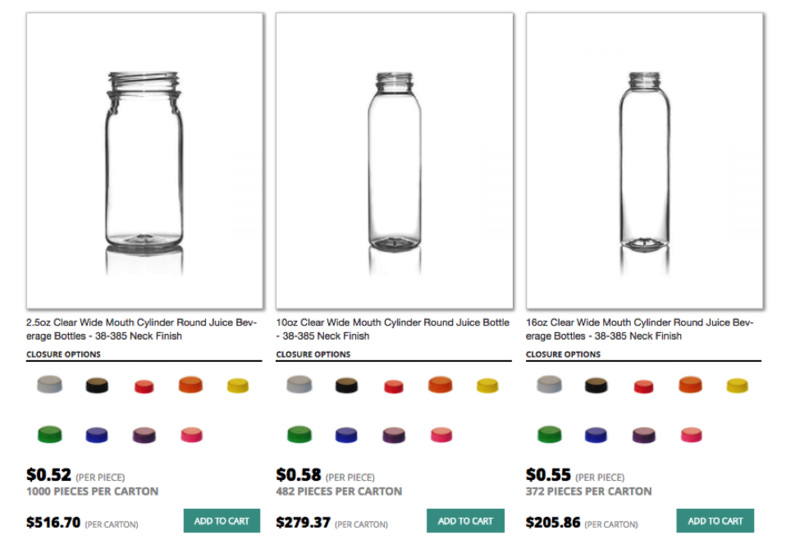 Bottlestore.com sells a variety of plastic bottles, glass bottles, plastic jars, and glass jars with multiple closure choices for different product applications. 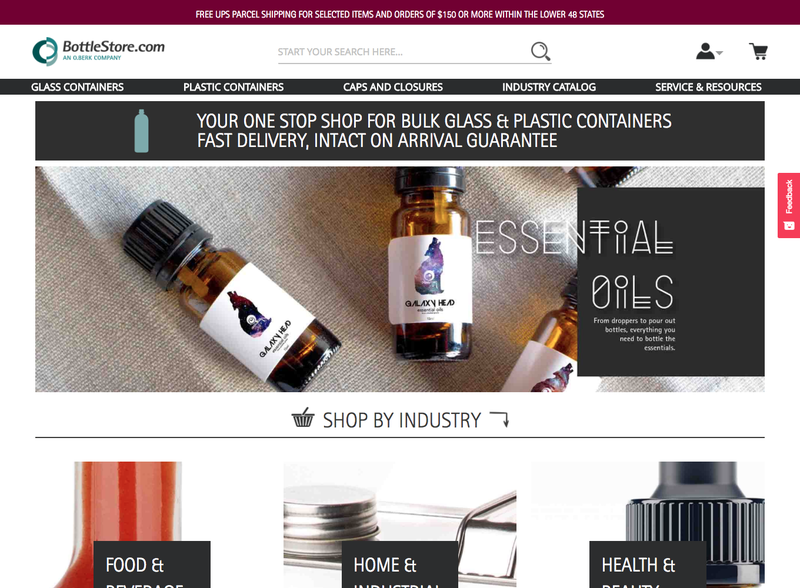 Bottlestore.com came to us when they began hitting limits with the functionality of their previous Magento 1.x system. At the same time, they were also looking to update the design of their Magento store. The natural progression of how to most effectively address their two main problems was to migrate their Magento 1.x site to the Magento 2 framework. Our strategists and developers went through a rigorous research phase to fully understand all of the features that Bottlestore.com had in their Magento 1.x framework. Through this research phase, we were able to evaluate which functionality was no longer used, and which features we would need to bring over to their new Magento 2 build. We then assessed the functionality they wanted to keep intact and determined if there was an existing solution to implement it on Magento 2 or if we would need to develop a custom solution. The Customer Paradigm project management team was able to keep the scope of the project flexible to account for changing needs throughout the development process and worked together with the client to address the out-of-scope items. Our project management team was able to facilitate effective communication about how these changes would affect the timeline and budget for this project. We built a custom design for the options area on the product pages. There is a grid of thumbnail images, with radio buttons, to select your option. When you hover over each individual option, you can see an enlarged image, the title/description, as well as the pricing for that closure. We also integrated the closure option thumbnails onto the category pages, so you get more of a detailed overview of what options you have for that product, all at a glance on the category page. We built out an improved left sidebar for filtering capability on category pages. 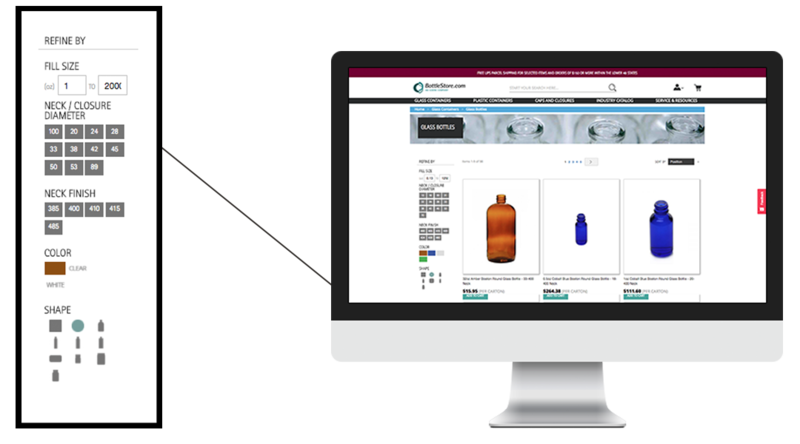 This new filter is an improved design for the new site and allows customers an easy way to drill down to specifics of what they are looking for – whether it be bottle shape, color, or fill capacity. The new left sidebar is also integrated with the search results pages so that it is seamless design/functionality across the category and search results pages. By default, pricing would not update on product pages in Magento 2, so we built custom functionality to allow for dynamic pricing on the product pages. Now when you select closure options, the per piece and per carton pricing calculate your option selections, to show you the new price right on the product page, without having to wait until going to the cart to see the total price of what you have selected.